It’s generally believed that heat kills most plant pathogens and spoilage microbes, but what if one could survive through fruit processing? 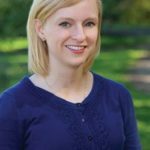 That’s exactly what Megan Biango-Daniels, a recent Cornell University graduate and current post-doctoral scholar at Tufts University discovered studying Paecilomyces niveus in apples. The unique find is detailed in a new research paper published in the journal Plant Disease. 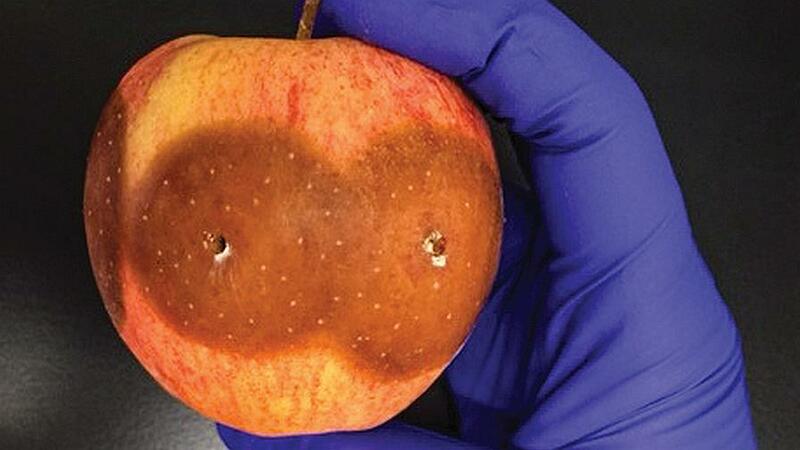 This fungus can infect wounded fruit and later spoil apple products, even after going through heat pasteurization. The rot also produces patulin, a toxin regulated by the FDA, which has been found in these spoiled products. While all of this sounds alarming, fresh fruit growers do not need to be concerned, as this fungus is most likely transmitted to apples from the soil through dropped apples that are picked up for processing. What is interesting, though, is how “unremarkable” the fungal infection appears, according to Biango-Daniels. It looks like just a brown spot, so it could easily be mistaken for a surface issue. But what is fascinating is how P. niveus interacts in the apple and causes the disease Paecilomyces rot. This fungus has been found in spoiled food products for a while. Biango-Daniels researched how it could contaminate processed apple products. In the study, the team of researchers wounded ‘Gala’ and ‘Golden Delicious’ and introduced the mold. The infected fruit looked like other apple diseases, but you could see heat-resistant spores of P. niveus inside the cores. Apples processed for hard cider or other kill-stop processing methods don’t have to be pristine. And apples that drop to the ground often are used in hard cider production. This is where a damaged, dropped apple could pick up the fungus from the soil and then contaminate processed products. When in cold storage, the fungus grows much slower. But, when apples are stored at room temperature, the fungus will form lesions in a little more than a week. “It’ll be about the size of a dime by the end of a week and a half,” she says. Biango-Daniels says this research is just scratching the surface. Colleagues are continuing to look at whether the fungus can survive in alcohol for industries that are more likely to use dropped apples for beverage production — especially since the fungus can survive after being exposed to heat. More research is needed to know if the fungus persists in apple bins, where it is in direct competition with the enterprising blue mold.